When I was eight years old, my family returned to Pakistan from the United States and a lot of things in the world suddenly changed for me. I’m pretty sure I was referring to the buildings and streets at the time but today, I believe many other things are broken too. I remember thinking about the prospects of going to Pakistan; a place my parents taught me was home. I remember being worried about whether I was going to be easily accepted. One thing I knew was that I had been raised, till now, in a very different environment than the one I was going to. One thing that really troubled me was that I wouldn’t be able to speak the local language. English was all I knew. I wondered how I’d manage in Pakistan, as I was sure to have problems in interacting with people. I imagined myself struggling to utter words in broken Urdu and people thinking I was dumb. But, in reality, society was adjusting to me instead of the other way round. Instead of me struggling to speak to others, I saw people trying to speak to me. I also got the whiff of the ‘show-off’ factor in people. Some may not think this was awkward but for an eight-year-old, it was. And it should be ten times more so for a seventy-year-old. Just imagine yourself going to the US from Pakistan and seeing everyone around you work their tails off just to speak to you in Urdu. And not only this; you also notice that people are competing with each other to prove who is the better speaker of ‘your’ language. I was taught to have pride for my country and was disturbed to see people looking down upon their own language. Soon I reacted by refusing to reply in English. Instead, I tried my best to answer in whatever broken Urdu I knew. People were shocked at my behaviour. I think they found it equally awkward. My aunts often said that I was lucky that I was fluent in English as people looked up to those who were. I would always get the what-do-you-mean-isn’t-it-obvious look whenever I tried to know the reason behind it. Why are people looked up to just because they know English? The reason is that knowing this language is considered a sign of superiority. It’s as if just knowing it makes us more smart and knowledgeable. We can suddenly speak with more authority. When we want to make a point, or an impression, we throw a sentence or two in English. As if doing so would make the content matter more than it would otherwise be. It is because of this attitude that a particular class dominates our society. The reason: they could afford an English language education. And if you were to analyse more closely you would realise that this has caused chaos in the lives of ordinary Pakistanis. Why is there a dearth of opportunities for people who can’t speak a particular language which is not even native to them? Why is it that in your own country, your own language has no value? In my opinion it’s all because of our mental slavery. By admitting the West’s superiority, we give up our identity, our pride and our humanity. Today our president feels no shame in carrying out a press conference with a third level US representative like Holbrooke. Today, our most senior ministers goes thorough body scans when entering US airports, whereas, US citizens are given visas with zero scrutiny. Just recently, Senator and acting president of the ANP, Haji Adeel, was not allowed to enter the US embassy despite an official invitation. He was told by a guard that he needed a specific sticker on his car to get in or he could park outside. You do not need to be physically captured to be a slave. Was our land occupied when our authorities handed over our people to the US? Were we not independent when Dr Aafia Siddiqui was taken to trial in the US? No, we were a sovereign entity! A motivated young writer and a student of Social Sciences from Karachi. I understand why the arguments relating to language and the perceived superiority of English in particular were made, and that is relevant. However, the politicisation of the phenomena was uncalled for. Forgive my bluntness, but I don’t agree. We don’t need to admit to any superiority from the west for these things. We gave up our identity, pride & humanity in the 70s when ethnicity became more important for us than national identity. The hundreds of thousands of people who have died in the last 30 years from ethnic and religious hatred have nothing to do with Western ideology. English is the international language of business. I live in France, but I still speak English. Everyday when I interact with clients and colleagues in different countries of the world, I am only able to do so because all of us know at least a little bit of English. Urdu is great, but if one wants to expand their horizons and career opportunities, learning the global language – English – is a must. Also, I don’t understand why you must demonize a particular language. Last year, when hiring new Analysts for my company, I was particularly impressed with a fellow who could speak Mandarin (Chinese), English, and French. I hired him because of how USEFUL his language skills would be to the company I work for, NOT because I admire English, or Mandarin or French. We Pakistanis always politicize everything. Also, how is the Afia Siddiqui issue even related to language?! P.S: You do know that she was convicted in an open and independent court, right? 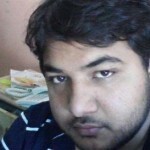 @Rehan : you nailed it! When you go outside Pakistan to live or work in the ‘global’ economy, that is when you realize how lucky you are that you know good English. Knowledge of good English is a must! Even the Chinese are now doing it. I have said it before and will say it again. As a social scientist I would like to raise some points and disagree with you. 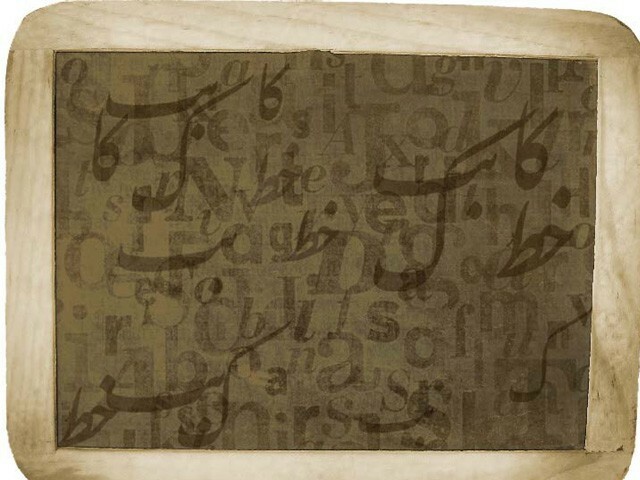 Firstly, Urdu itself was developed as a foreign language in South Asia. The original language of the Mughals was Chagatai, which has Turkish roots and through time they adopted Persian but still there was a need to communicate with the locals which led to the composition of languages derived from Sanskrit but still retaining the Turkish Arabic Script and through time it came to be known as Urdu. So, Urdu itself is a combination of foreign derived local language. If you want to go even deeper, our original language is Sanskrit, that is the reason why URDU and HINDI sound so very similar. You would also notice that Indians and Pakistanis have the same problem, a lot of our language contains English words, its not a Pakistan specific problem. Reason being, we were ruled by the British for 400 years, our laws are written in English, all processes are in English. Higher education is in English. Even in primary schools in rural areas, English is taught in some way or the other may be not to the extent to the cities. My point is language is a form of social communication. A nationalistic stamp, does not mean that if we speak Urdu with an English influence we have an inferiority complex. Pakistan is just a little more than 63 years old we are still developing our literary identity. Countries like Greece and China have developed their societal dynamics over thousands of years. And this phenomenon is not with Pakistan (Urdu and English) only. Morrocans, Tunisians speak Arabic and French, and the Arabic they speak is very much influenced by french some of them converse in French. Brazilians speak Portuguese completely now, and so many of the South American countries speak Spanish although its not the indigenous language. Many of the African countries speak french. Does that mean that they have an inferiority complex?NO! It is a social phenomenon, and with time people’s languages change, due to several factors, and it is not because their lack of pride for the language. Pinning it down on lack of pride is unfair. If I like to communicate in Greek, I should, whatever makes communication easier for me I should do it. It is a natural social dynamic, so you should not be guilty about speaking in whatever tongue you are talking in. Pride has nothing to do with it. Speaking of human developments in nationalistic contexts is not fair and it does not work in that way. @ Author – this is a silly article. First of all, Urdu is not the “native” language for most of us. Not even a majority of Pakistanis consider Urdu to be their language. We aren’t saying the West is better than us if we use English. If we want people speaking Urdu, then we should become a strong and powerful economy. Pakistan will be the world’s 5th biggest country soon. Students in the US and Canada and UK line up to learn French in school because of the massive amount of literature and prestige value. One day, Urdu could be similar if Pakistan can move out of the Dark Ages it is currently stuck in. I really used to take pride in Urdu language but not any more. Because of insistence on Urdu we lost half of the country already because our leaders wanted Urdu to be our language when Bengali was the majority language and punjabi second most spoken language of the region. Now I think Urdu has served no useful purpose except divide us further. It is about we treat urdu the way it is treated elsewhere an extinct language. we should speak regional language as south india does and make English as our official as south India does. It is about time that we stop creating an inferior class that is being created by teaching them a very divisive and extinct language. You live in France and you speak English, either you don’t live in France or you don’t speak English except for within the limited environment of your company. We should learn languages but refrain from using them when there is absolutely no need. We should definitely prefer Urdu in our country, and when the person being addressed can understand it. I work for a multinational company in Paris. Even the French employees here speak English. However, if we have to do business abroad, we have a few employees and consultants who speak Mandarin (Chinese), Dutch, German, Urdu-Hindi, and other languages. Generally though, English is spoken more regularly than any other language, because nearly everyone in Europe and Asia has a basic grasp of it. However, that does NOT mean I feel inferior. I speak to my wife in Urdu, my daughter in Urdu (although she sometimes forces me to speak my broken French :p), and all my relatives back home also. Urdu is our language, but not learning English in the current global marketplace means that your skills wont be very marketable for international companies, even ones in non-English speaking countries, since English is very much the Global Language. 1. Urdu is a language very few actually speak. Even fewer have had the interest of studying its roots and literature and all. Speaking a foreign language does not mean one is ashamed of his own language. 2. The MAIN reason why anyone in Pakistan considers English a formidable language is this. Anyone who can speak english properly or has a British/American accent has obviously studied in an expensive school or has been rich enough to visit these countries. That implies your folks are have a powerful background. And in Pakistan, nobody messes with you if you have power. You could be a good english speaker because of any of these reasons! You watch english TV shows because you can afford cable and are open minded enough to watch that kind of stuff. A trait only found in the elite and powerful class. You have foreign friends you communicate with. Obviously you have the means of communicating with them. A computer with internet. And the time and money to spend doing that. Powerful background. Why anyone tries speaking english is quite clear now. Wouldn’t YOU want to sound like you’re from that class of Pakistan? People don’t respect or praise the western culture. They respect the implications behind it. If you follow western culture, you’re a big shot! If your president and all these ministers start walking in the streets like normal people (and lets suppose nobody knows them) no one would care when they interact with them. But if a normal average guy speaks english, people would definitely think he has a strong and powerful background, capable of changing lives in Pakistan. Other than that, yes we need to learn english if we hope to compete with others! India is probably our biggest competitor in terms of professionals provider. Every firm in America has their call center/Help line in India BECAUSE they speak good english! If you want to be like China, do want Mao did. Bring the competition to YOUR home ground and make THEM follow you. As long as you’re playing in THEIR playground, you have to adhere to their rules. You need to learn english to get a good job. And if anyone asks me WHY we need their job, quite simply, its because the jobs here are not enough and dont pay enough. In a state of turmoil, no one has the time or the need to think about the greater good. Everyone wants to feed themselves and their families. One can be patriotic and think about the national interest when he has a roof over his head, clothes to cover himself, food to survive. Right now everyone is just trying to make the ends meet! professionals in Pakistan don’t get jobs due to corruption and our “reference” based systems. Why do you expect him to stay and work for you when you denied him of his right? why shouldn’t he pursue jobs in other countries and foreign firms? why should he be the one to work for the country while everyone else just steals from it? Why should he watch his family suffer? Why should he kick his 16 years of studies and work as a clerk or a taxi driver? why not go to a place where his skills are used and hes PAID for it? and unfortunately there are VERY few such firms in Pakistan. Shocking how this article is written without a single mention of the other ‘native languages’ of Pakistan,. A word of advise for the ignorant author would be to try to understand and appreciate the diversity in Pakistan. It would only be a great disservice to our rich and complex culture if we were to pit a language against other languages or advocate one or the other when there is clearly no language which is inherently native to the entire population. How can you talk about Pakistan when you are not a Pakistani yourself? And why do you have to be so unappreciative? Mr. we have not lost our identities and humanity just because we can speak more than one languages. And Hey! your relatives were trying to talk to you in English because you didn’t understand Urdu then. If they only had, your article would be different now. You must have written about “Why don’t Pakistanis try and learn English. Its the language of the world”. People like you who are raised in Western world look for mere excuses to hate Pakistanis.